/ Modified aug 22, 2018 9:44 a.m.
A June afternoon at Archer Pool, 1665 S. La Cholla Boulevard, 2018. National nonprofit Trust for Public Lands (TPL) conducts a report each year compiling city park facts for the 100 largest cities in the United States. While funding for parks continues to decrease, this year's data showed Tucson ranked No. 3 for the number of community pools per capita. "Tucson has a lot of swimming pools, which makes sense given that it's Arizona," said TPL data coordinator for city parks Ali Hiple. The report looks at the number of amenities like swimming pools and compares them to the other 100 cities. 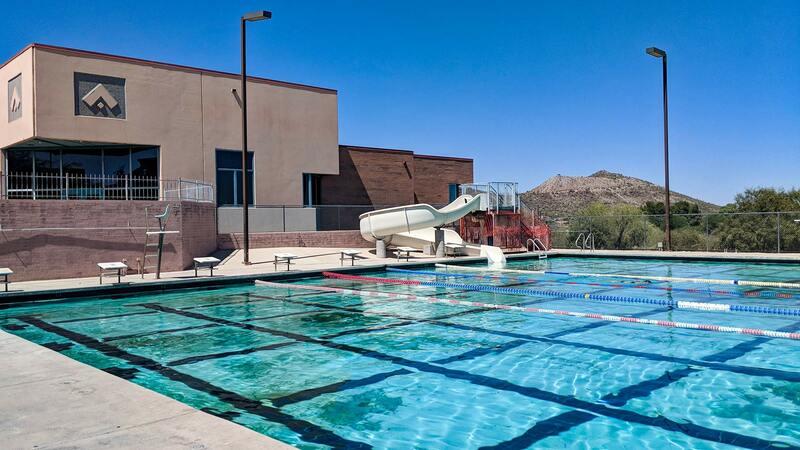 Tucson has seven swimming pools per 100,000 residents, with 38 total pools, according to the report. Another statistic looks at how much the city spends per resident on city parks. During an interview in May, Ali Hiple explained why the organization evaluates city spending on public parks. "When you are seeing a high spending figure, that's a city that is constantly keeping its parks well maintained, keeping them clean, keeping the grass mowed and replacing equipment as it gets old," Hiple said. "It is a good proxy for a quality of park systems." Since the last fiscal year Tucson has spent $50 per resident, which is below the national average of $65 per resident. Over the years, funding for city parks has declined in Tucson, Hiple said. Another report conducted by TPL in May every year compares park scores for the same 100 largest cities. The report started comparing the cities in 2016. At that time Tucson spent $81 dollars per resident on parks. Splash pads, which are parks with sprinklers, are another commodity in Arizona, Hiple said. "They are often more water efficient and a little bit simpler to install than swimming pools," She said. "So they are gaining in popularity." However, Tucson doesn’t rank as high when it comes to splash pads. It is 64th. The annual report shows Tucson only has three.